Jarmany’s solution enables you to analyse your financial performance providing the ability to understand your cost breakdown, profit, revenue and year on year performance in an easy to understand format. 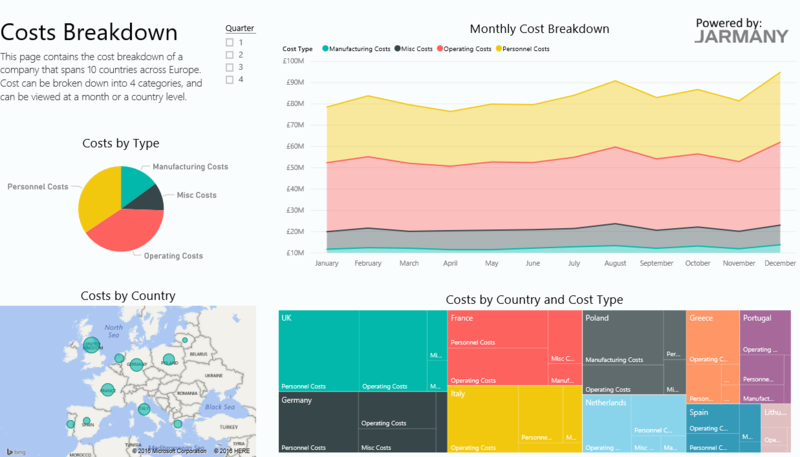 Financial reporting can often be complex, difficult to interpret and provide miss-leading information which leads to more questions being asked on the reporting than actions being taken to improve the financial position.Power BI has the ability to bring your data to life to find the answers to the questions that you are looking for. 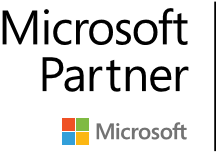 Jarmany are experts in implementing Power BI solutions creating the management reports, containing the key insights you need, to answer specific business questions and sell in internally. The result? Better, more informed decisions made faster. 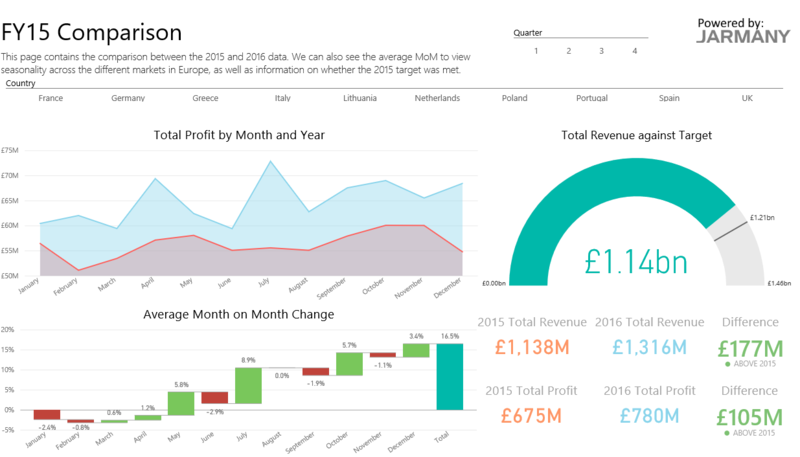 Using the array of rich visualisations available in Power BI Jarmany have created a financial dashboard which enables the user to quickly find the answers that they are looking for. 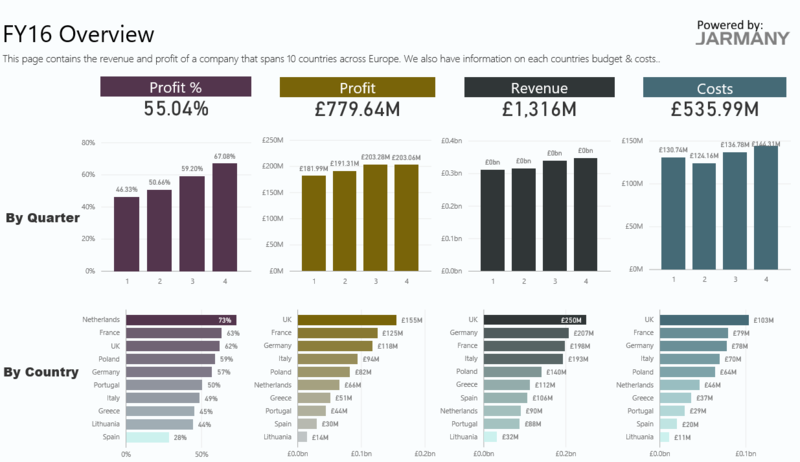 At a glance you are quickly able to see a number of core KPI’s such as profit, revenue and costs whilst being able to identify the territories that are making the greatest contributions. A key indicator of a successful financial year is to compare this year to the previous. Jarmany’s solution enables you to drill down into the detail of this and understand in greater detail as to the make-up of your performance and identify as to where you need to focus your efforts in providing support to boost performance in the next year. Jarmany’s solution also provides a quick view to help control costs. The parts of your business that are absorbing the highest costs can be identified at a click of a button to enable the ability to manage this with greater control.All of the above and more is delivered in a rich, clear visual format transforming complex and hard to interpret data sets into actionable insights available to across a number of platforms.